The Hotspot Template is a great way to engage learners. 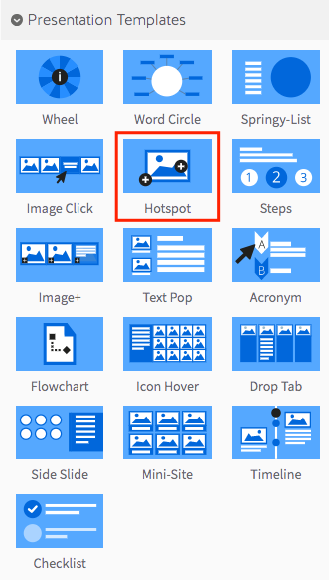 Using the Hotspot Template, you can add one or more ‘hotspots’ to an image. When your Participants roll over these hotspots, text will appear. 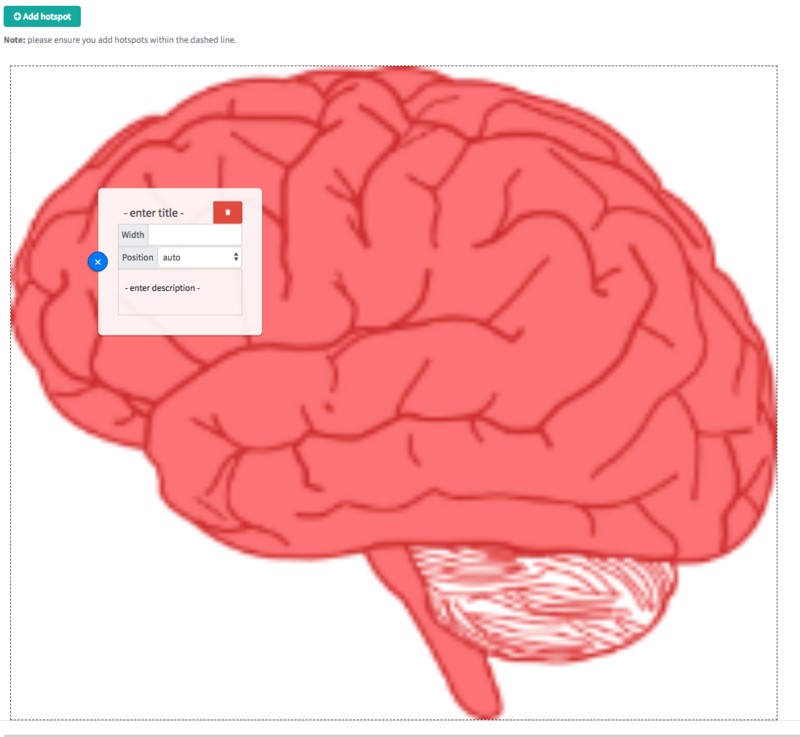 This means that you can explain complex graphics as your Participants are viewing them! Step 1: Select the Hotspot Template from the ‘Presentation’ panel. Step 2: Drag your Hotspot Template into the Lesson Pathway. Step 4: Click the ‘Edit Tile' button. Step 6: Upload an image using the ‘Add Image’ button. For more information on using the ‘Add Image’ button, click here. Image Tips: Our suggested image size for the Hotspot Template is 1170 x 550 pixels. Step 8: Use your mouse to drag and position your new hotspot. When it’s in place, give your hotspot a title and description. You can also adjust the width and position of your hotspot, with position referring to which way the hotspot will pop up. For example, if you select ‘right’, your hotspot’s text will appear to the right of its marker when your Participant rolls over it with their mouse.